Our 2019 training schedule will kick off with 4 days AERMOD and CALPUFF training in Dallas, Texas from February 18 to 21, 2019. Attendees will have the opportunity to complete a Do It Yourself Case Study using WRF processed data for a location of their choice making this course of great benefit to their modeling work. We will present a 2-day AERMOD course in Toronto from February 25 to 26, 2019. This course will feature a special section and case study regarding the dispersion modeling requirements of Ontario Regulation 419/05: Air Pollution - Local Air Quality. A&WMA’s Air Quality Models Conference, Guideline on Air Quality Models: Planning Ahead, will take place in Durham, North Carolina from March 19-21, 2019. Learn the latest air quality modeling solutions and recommendations for the future! Presentations will cover the implementation of the changes, experience gained, and viable solutions on the current and future state of the Guideline on Air Quality Models (40CFR Part 51 Appendix W). Lakes Environmental Software is proudly sponsoring this annual event and our Senior Product Specialist, Mr. Michael Hammer is the General Conference Chair. Our world class instructors will host 4 days of AERMOD and CALPUFF training in Las Vegas from April 8 to 11, 2019. The CALPUFF portion of this course will include a special Class I Area Visibility case study and both courses will include a WRF case study for each student’s desired location. We will be in London, United Kingdom to present a 2-day AERMOD course from May 27 to 28, 2019. 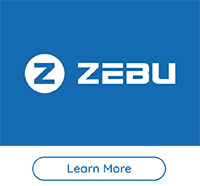 Lakes Software’s sister company will release Zebu this year, its 3-in-1 solution for your company’s communication, scheduling and storage needs. 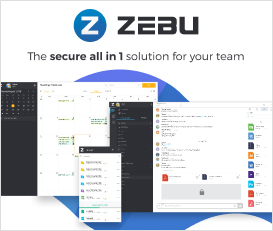 With Zebu, you get instant communication across your entire organization worldwide, as well as scheduling and cloud storage, all with the most secure encryption technology, ensuring that all your sensitive company information is protected. Get it early by signing up today and get Zebu for free forever! For more information, contact moo@zebu.io. When using CALPUFF, modelers can add hourly background concentration or deposition flux values to the modeled results before averages are processed in CALPOST. Lakes Environmental added a Background Data File Maker utility to CALPUFF View to make this process even easier. Watch the video below for step-by-step instructions on how to use the Background Data File Maker utility. January 2, 2019 - In early 2013, the Chinese government declared a war on air pollution and began instituting stringent policies to regulate the emissions of fine particulate matter, a pollutant known as PM 2.5. Cities restricted the number of cars on the road, coal-fired power plants reduced emissions or were shuttered and replaced with natural gas. Over the course of five years, PM 2.5 concentrations in eastern China have fallen nearly 40 percent. December 11, 2018 - NOAA’s annual report card on the Arctic, released today at the American Geophysical Union fall meeting in Washington, D.C., measures the changing climate of the polar region including warmer air and ocean temperatures and declines in sea-ice that are driving shifts in animal habitats. 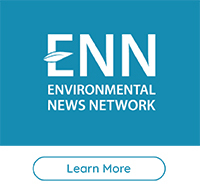 Visit the Environmental News Network (ENN), the most dependable online environmental news source! to the sources cited. 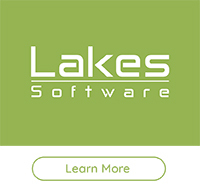 Organizations cited are in no way affiliated with Lakes Environmental Software. For more information please visit our web site at: www.webLakes.com. All comments and suggestions are welcome. You can e-mail us at: support@webLakes.com.